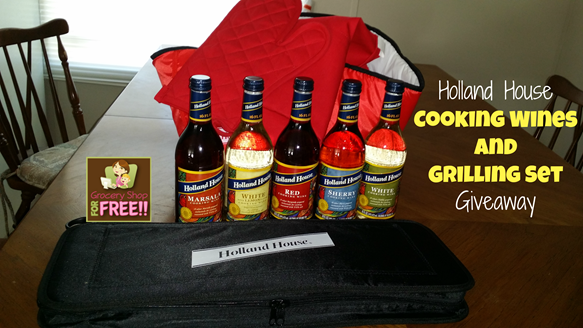 Holland House Cooking Wines And Grilling Set Giveaway! 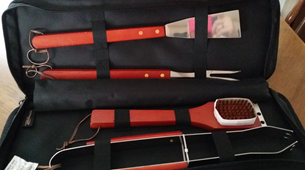 You are here: Home / Sponsored / Holland House Cooking Wines And Grilling Set Giveaway! We have a new giveaway for you from Holland House! I love Holland House Wines and Vinegars to cook with, they make it so easy to add great flavors to almost anything! · Marinate your meat. Marinating is a great way to add flavor and save money by tenderizing tougher, cheaper cuts of meat. A well-prepared marinade can help an amateur on the grill prepare food that tastes like it was prepared by an experienced grill master! · Select your marinade elements. Marinades vary from recipe to recipe, but they all generally contain three basic components – oils, acids and seasonings. Oils lock in the natural flavor and prevent vegetables from drying out, while acids allow flavors to be absorbed. Seasonings provide the unique flavor. Garlic, ginger and herbs are the most common marinade seasonings. · Keep an eye on the time. As a general rule, the longer food is left to marinate, the more flavorsome it will become. Small or tender cuts, such as lamb and beef fillets, chicken breasts and seafood, require shorter marinating times (usually two to four hours). Larger or tougher cuts such as leg, rump or shoulder will need longer (usually four to six hours). Never marinate in aluminum, cast iron or copper, as these metals will react with the acids and salts, resulting in off flavor. · Use the right tools. When grilling, always use tongs to turn the meat. A fork should never be used as it will punch holes in the meat and allow the natural juices to escape, causing the meat to lose flavor and become chewy. · Don’t rush it. Meat will tell you when it’s ready to flip. If the meat is still hanging onto the grill, it’s not ready to flip. Once a good sear is established, it will release on its own. Want more tips? 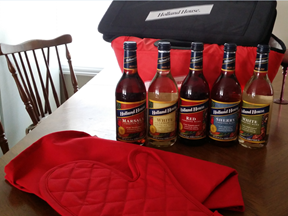 Check out Holland House’s marinade and grilling cooking video. • Fresh vegetables (onion, zucchini, mushrooms, peppers), cut into bite-sized pieces. Combine cooking wine, brown sugar, olive oil, garlic, rosemary and peppercorn in a large bowl and mix until well blended. Taking care not to poke yourself, thread the meat and vegetables onto the skewers. Lay the finished kabobs on a large tray and pour the marinade over the top, coating all the pieces well. Marinate in the refrigerator for 3-4 hours, turning the kabobs occasionally to coat the pieces with sauce. 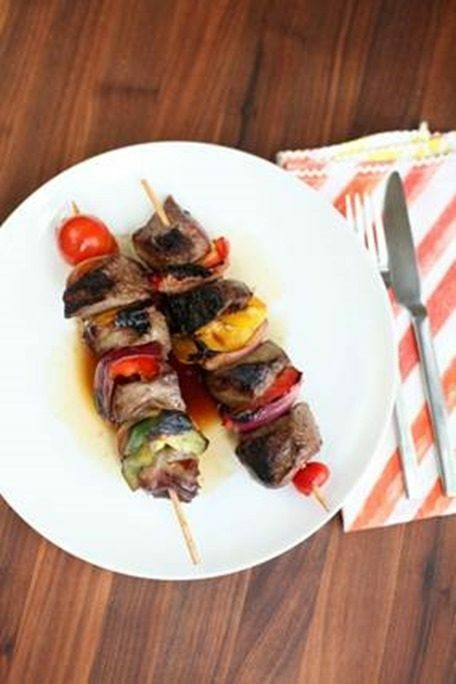 Lay kabobs on a heated grill and brush with leftover marinate. Turn every 4-5 minutes until the meat is cooked through. So, how about the giveaway? Holland House is giving 1 lucky winner a set of all of the products above! Mandatory entry: Just leave a comment telling me your favorite grilling tip! This giveaway will end Monday, October 20th, 2014 at 11:59 pm Central time and the winner will be emailed soon thereafter. Make sure you add [email protected] to your address book, so you get the email if you win! My favorite and most useful grilling tip is patience!!! Give the coals time to heat, give the meat time to cook without trying to over heat and burn. Favorite grilling tip is to let the meat rest before serving. The juices distribute evenly and they don’t run out so fast if you wait before you cut into it. We love to grill our veggies in the white wine or marsala!! I am following you on Twitter and Pinterest now. Marinade meat in your favorite salad dressing first! My favorite way to marinade is in a zip top bag. When I’m done marinating, I can just throw the bag away. Cleanup is great, plus as the food marinates it is easy to flip the bag so that all of the meat gets seasoned.